This may be old news to some of you since it occurred about 45 days ago, but I just found out and was very surprised. George and Grace Matsuoka had owned a successful nursery in Pasadena and in 1968, had an opportunity to sell the business. In 1970, he purchased the property on Jeronimo, starting Laguna Hills Nursery. George and Grace’s children grew up helping their parents with the nursery, and when the older couple began to experience health problems, their son Gary and his wife, Nancy, took charge in 1994. Gary started researching and developing his own ideas about Horticulture in 1995. He worked to perfect his skills at propagating, growing, product development, marketing and teaching. By the late 1990’s, Laguna Hills Nursery was thriving. It was known for the quality and selection of roses, fruit trees, ornamental trees and perennials. Unfortunately, by 2007, both of Gary’s parents had passed on and the nursery’s property had to be sold to settle the family’s estate. Gary and Nancy moved Laguna Hills Nursery to Foothill Ranch in 2008 for a year, then leased back the old property in 2009. The bad economy led to a decision to close to store by May 2010. The new owners, Living Green Nursery & Garden Center, are quite nice, says Gary, and wishes them well. 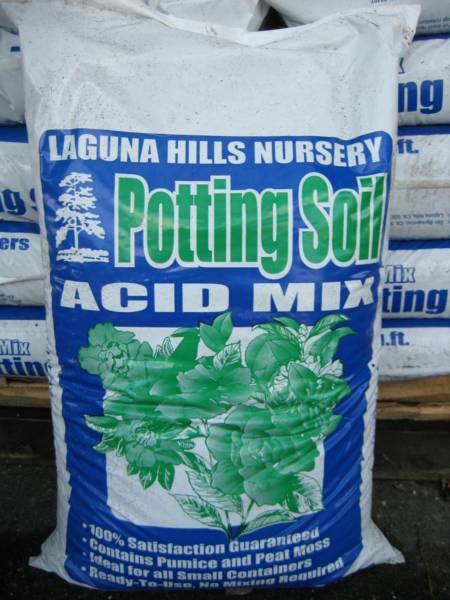 For those of you who loved the potting soils and planting mix that Gary developed, he’s looking for established retail outlets in Orange County who will be able to offer it.